Genuine Irish hospitality in a friendly family home! 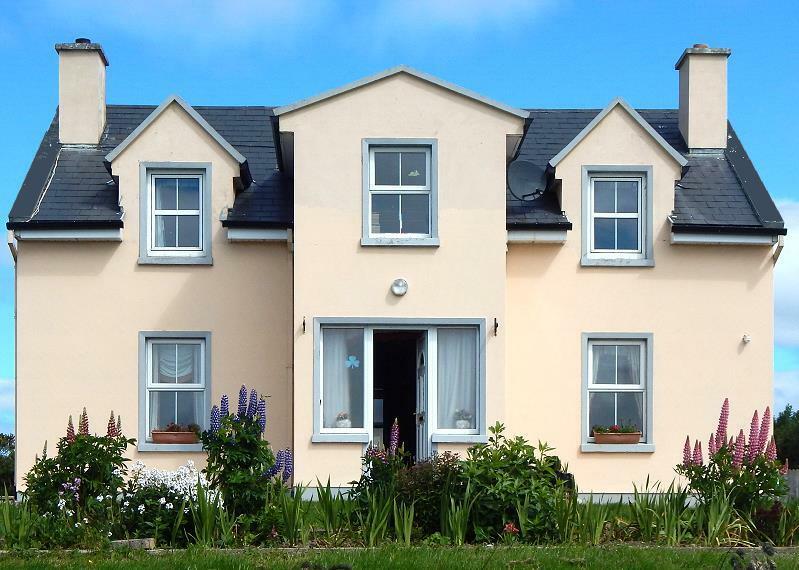 Welcome to Doolin Sunset B&B, Doolin, County Clare, Ireland - beautifully situated on an elevated location between Lisdoonvarna and Doolin overlooking the landscape around Doolin with the Atlantic Coastline and the Cliffs of Moher! We are located in a safe and quiet area off the roads and away from the lively ongoings in Doolin village. Our guests may expect true Irish hospitality in a family atmosphere. Our facilities are there to make you feel just like home. Tea-/Coffeemaking facilities as well as comfortable sitting furniture, a swing chair, an open fire place, TV, Video, DVD and Home stereo are available in the guest lounge. We serve full Irish breakfast including organic farm products. The entrance is wheel chair friendly, and there's a safe parking beside the house. A wooden table and a BBQ are available for our guests.